The single most frustrating thing about switching to a Mac this summer was working with video from my hard disk drive camcorder. But Apple’s stepped up to the plate and added support for camcorders that use AVCHD and MPEG-2 formats, greatly improving workflow for users of camcorders that record on either hard drives or DVDs. I picked up a Sony SR-300 camcorder with 40GB hard disk drive (HDD) earlier this year to speed up my video editing workflow and so I wouldn’t have to worry about swapping out tapes. Things were working like a charm on my Windows notebook, but when I switched MacBook Pro importing and editing video became unbearable. To playback my camcorder’s video on my MacBook Pro I had to purchase a special Quicktime plugin from Apple for $19.99. I could watch videos, but in order to hear the audio I had to use Streamclip. To edit my videos I had to export clips from Streamclip in QuickTime or DV formats, then import the converted clips into iMovie. This took forever, was exhausting and made me regret ever buying the SR-300 to begin with. 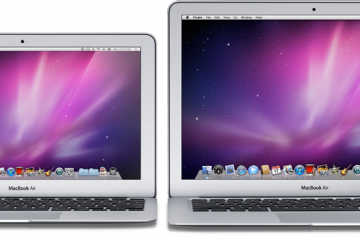 Many Mac users have avoided Sony, JVC, Canon and Panasonic’s DVD and HDD cameras because of this problem, or sold them off after struggling to get them to play nicely with their MacBooks. I was surprised overjoyed tonight when I found out that iMovie ’08 fully supports my camcorder. I went to the Apple store in San Francisco to pick up a copy of iLife ’08. I took a seat at the Apple theater and started installing it on my notebook while an Apple employee was giving a presentation about Final Cut. My video editing needs are pretty basic, so I wasn’t paying close attention, but I did hear him say something about how Final Cut can import video from nearly any camera, including Sony’s HDD camcorders. That’s exactly what happened once I got home and plugged my SR-300 into my MacBook Pro. I’m now able to preview each of the dozens of clips on my camcorder and chose which ones to import. Simple and it just worked! This is much faster than working with tapes or the screwy process I was using before. It took 14.5 seconds to import a three minute clip, but another 1:31 to create the thumbnails used to skim through the clip while editing in iMovie. I poked around on Apple’s web site and found the below list of hard drive and DVD camcorders that Apple has tested with iMovie ’08. 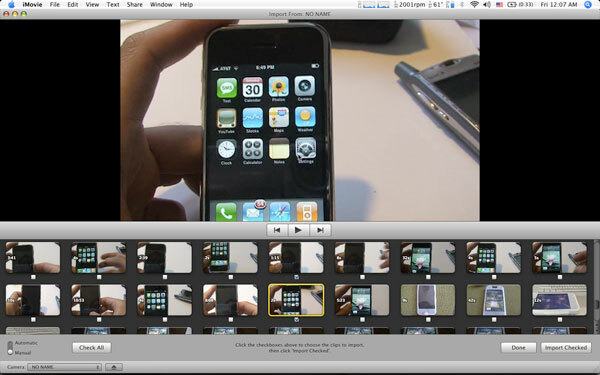 If you have similar models and are having trouble importing video, upgrade to iMovie ’08 and just give it a shot. iMovie ’08 is far from being a professional solution, but at least I can now view and edit video from my camcorder. iLife ’08 comes preloaded on all new Macs or is available for $79 for a single user license. With your HDD based camera, did you connect via USB or firewire? Hey Jdogg, connected my SR-300 to my MacBook Pro via USB, there’s no firewire port on it. hi! i ran out to the store too! but found out that iMovie 08 and Sony’s HDR-SR1 avchd camera doesn’t import onto a Intel Solo machine! It wouldn’t work on my home Mac Mini.. 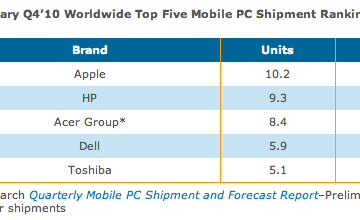 Although all apple says i need is an intel processor… they’re wrong. Joel, what kind of error/message are you receiving when you try to import avchd on your Mac? The JVC GZ-MG130U HDD CamCorder is not supported. Still using MPEG Streamclip. I tried everything. Renaming the MOD files to M2V. QuickTime likes them, iMovie 08 does not. How are you trying to get your clips into iMovie ’08? You should just launch iMovie ’08 and then connect your camcorder. Your SR300 should be recognized and you will be able to preview your clips. Can anyone help me import videos from Panasonic VDR-D300? It’s on the list of cameras that should work. It does not read the camera. Can anybody help please? I have figured out the issue. For some reason when connecting the camera you have to choose “print” on the camera’s menu of how to connect to the computer, not, “computer”. Now it is working perfectly. I have a DCR-SR100 (and am running imovie 08) and am having the same problem Jeremy had (not recognizing movies/showing up as MPEG 1), but select the printbridge option is not doing the trick. When I connect using the HDD/computer option my Mac does not recognize the device. If I hit the printbridge option, it recognizes my device, but I get an error message on my camcorder (“check the connected device”). In either way I cannot import the pictures. HELP!!! I’ve found that my Sony Camcorder and iMovie ’08 don’t always like to play together. 1) Start iMovie ’08, plug in camera, chose ‘computer’ from on your camcorder’s menu. 2) Plug in Camcorder, start iMovie, chose ‘computer’ from your camcorder’s menu. 3) Plug in camcorder, selsct ‘computer’, start iMovie ’08. For whatever reason iMovie ’08 does not seem to recognize my SR300. I know it’s frustrating to have to troubleshoot, but let me know if any of these combos work. Xavier – thanks for the reply. I bought the Quicktime add-in that enables it to recognize muxed MPEG2 files and did option 3 above – not sure what did the trick, but it worked. I have purchased my last Sony product. I was so happy with my purchase of a new iMac 20″ 2.0GHz Intel Core 2 Duo that comes with iMovie ’08. Now I am a very frustrated person because I thought it would be just a breeze to make movies. I spent 2 days surfing the Net reading on MPEG format and Apple products like iMovie and Quicktime. There is an article that says that iMovie ’08 supports DCR-SR100 that records in MPEG-2 format. It does not tally as when I used Finder to open a Sony video file. It shows that it is MPEG-1 format. Whether it is MPEG-1 or MPEG-2, can someone plse tell me how do I just do editing with these files? I can’t open the video files at this point in time. I have the same issue as NCL. The info panel says that my Sony DCR-SR100 files are MPEG-1. I’m unable to open these files in either Quicktime or iMovie ’08. 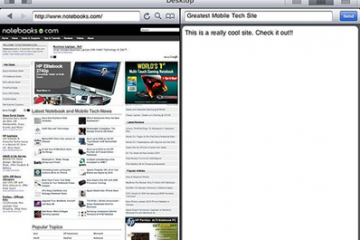 The mac does not appear to be fooled. Thanks Xavier! #3 in your list of “How to Open Files” for the SR-300 worked for me this evening. Hi, I’ve read the above and haven’t had any luck adn would welcome any advice. I’ve a Sony DCR SR80 and have downloaded numerous MPEG-1 files from it onto an XP machine. I’ve now bought the new dual-core iMac 20in (with iLife 08) and copied the video files from my xp machine onto a DVD and pasted them into the iMac. But they don’t work and like Jeremy, the iMac tells me that they aren’t movie files. This is really frustrating. You can’t import MPEG-1 files into iMovie ’08 unfortunately. Instead you need to convert them into iMovie after they’ve been converted into MPEG-2 or MPEG-3. This is a pain, but can be used by using an application like VisualHub to help automate the process. 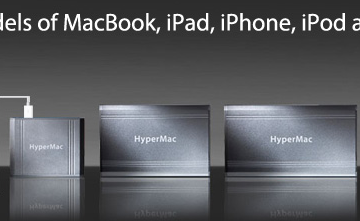 Just wanted to add the DCR-SR60 to the list of working devices; installed iLife ’08 and had issues at first. iPhoto keeps opening and trying to grab all the video from the camcorder but if I close iPhoto and open iMovie ’08, it will automatically import the video. Imported video looks great. I also tried just letting iPhoto ’08 import the video so I could just browse it from iMovie ’08 but iPhoto doesn’t import the mpeg2 files properly. iPhoto brings in the video without sound, like the QTMpeg2 add-on did before. I am not a big time filmer, but was trying to make some goofy vidoes for youtube, and using a Sony Cybershot 7.2 I took a few videos. I plugged the camera in and the movies were imported via iPhoto and came up as .mpg files on my desktop. However, I can’t drag these into iMovie to bundle them together. I read above that iMovie doesnt support mpeg-1 files, and was wondering if somebody could offer some help on what to do. I know very little and tried reading up, finding apps to convet and such but to no avail. Don’t let iPhoto import your movies. Instead, quit iPhoto and start up iMovie ’08 to import your movies. This may not work since your Sony camera isn’t officially supported, but give it a try. Otherwise you can try VisualHub, an application that should convert everything for you. Another application you can try to use is StreamClip. I have the same set-up as Xavier (SR300 and Imac) imported to imovie 08 – the video looks great, but no [email protected]?#! After browsing many forums and finding no detailed results I decided to play with my Sony SR 82. Just go to the home menu and press the formatting button (the luggage tag looking icon) and then press the formatting button on the left for your hard drive or the right for your flash disk. Let it format and then it’ll be ready for imovie 08. Just plug the USB to the computer and open imovie. 1. on the home page go to the toolbox icon in the lower right corner. i don’t understand why but, it now seems to be syncing with iMovie 08 without difficulty, both video and audio. i hope it continues to work! I have a JVC GZ-MG505 which records into .MOD files. When I connect the camera the import window opens but doesn’t display any thumbnails- all the scenes are just grey tiles. Then when I import a scene the visuals come out fine but there is no sound. Did you get any help on this, my JVC mg255u does the same thing and I need to get this stuff off of my hard drive. hi. as soon as i read this site . i bought ilife 08. but when i connected my sony dcr dvd 403. it would say no camera is connected. i am using my usb for connection. and on choosing a format to create a new project i don’t have mpeg 2 only mpeg 4. am i doing something wrong? According to Apple, when you insert a new disc into your camcorder you need to make sure to format the disk correctly. If ‘VR’ is selected when you insert a new disk your Mac won’t read it as data, but as a Video DVD. This will help you with future recordings, but it’s going to be a roadblock on your old disks if they weren’t formated in standard mode. If you will be importing from some DVD camcorders* into iMovie ÃƒÆ’Ã‚Â¢ÃƒÂ¢Ã¢â‚¬Å¡Ã‚Â¬ÃƒÂ¢Ã¢â‚¬Å¾Ã‚Â¢08, make sure you select the correct option when you first insert the recordable disc into the camcorder. When you insert the recordable disc into the camcorder, you are prompted to select either the “Standard” (sometimes called “Video”) or “VR” format. The camcorder should be in the “Standard” or “Video” mode to import the media into iMovie ÃƒÆ’Ã‚Â¢ÃƒÂ¢Ã¢â‚¬Å¡Ã‚Â¬ÃƒÂ¢Ã¢â‚¬Å¾Ã‚Â¢08. If “VR” is selected, the camcorder appears in the Finder as a DVD and not as a hard drive, which means the media cannot be directly imported into iMovie ÃƒÆ’Ã‚Â¢ÃƒÂ¢Ã¢â‚¬Å¡Ã‚Â¬ÃƒÂ¢Ã¢â‚¬Å¾Ã‚Â¢08. I am thinking of purchasing a JVC GZ-MG555. Does anybody have experience with this camcorder and does it work well with iMovie? I see it is on the list of “approved camcorders,” but I wonder if it is really the case that it plays well with the mac? I have just purchased a new “sony-HDR-SR7” model camcorder and also an “imac” intel core 2 duo 20inch. the connection obviously works as it imports the still photos into iphoto but for some reason i cannot seem to get it to open up in imovie to import clips, any help would be muchly appreciated, Cheers. This should begin the import process. Try this and let me know if it doesn’t work. This process is still rocky, and I’ve found that resetting my Mac and camera can sometimes help. If you have MPEG-1 (many cameras use mpeg1) files that need to be used you will need to convert them to mpeg-2 or H.264 mpeg4. If you have Quicktime Pro just do file>export>mp4 and its done. If you don’t have QT pro use a free program like Handbrake (which is actually better), quick and easy conversions to a compatible format. I have a Sony DCR-SR300C (extra capacity). I have a new iMAC 20″ with iMovie08. iMovie is actually crashing when my camcorder is connected. Even if I copy the files to a folder on the computer, it will not allow me to select any of files. They are shaded gray. Are the files on your SR-300 *.mpeg? Was the video show wide aspect or small? I am trying to figure out what the problem is. 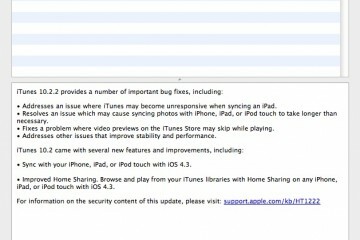 Apple support is looking at this. It has been escalated to engineering. I also took my camcorder to the local Apple store and iMovie still crashed. Any more information about what you did or the files that are generated from your camcorder would be appreciated? I just wanted to let everyone here know that LeoK is a genious. Been browsing the internet for weeks trying to figure this thing out with the DCR-SR60…what he said works. Beautiful!!!!!!!!!!!!!!!!!!!!!!!! I had the same problem as michaelmallalieu where I could not import from my Sony HDR-SR7 into iMovie 08. I then followed XavierÃƒÆ’Ã‚Â¢ÃƒÂ¢Ã¢â‚¬Å¡Ã‚Â¬ÃƒÂ¢Ã¢â‚¬Å¾Ã‚Â¢s advised and it worked perfectly. Thank you very much Xavier I as was starting to get frustrated and disappointed that this great camcorder was nor working with be beloved MacBook Pro. I’ve got a similar problem with my sony dcr sr100 – when I start imovie 08 and then turn on the camera – imvoie crashes. I’ve even switched back to imvovie 06 and have tried using visual hub – but even that gives me a problem – apple script error messages that say no document could be created??! Help!!! I have been able to download videos from my Panasonic VDR-D300 once I have finalized DVD-RW discs…but iMovie08 won’t even allow me to open videos recorded on a DVD-RAM. I recorded important events on DVD-RAM discs because I thought they were supposed to be the easiest to use. Can you tell me what I should do to get iMovie to download from DVD-RAMs? I’m really challenged with this whole thing. I also have a Sony DCR-SR200. Just bought a Mac Book, Leopard and Imovie 08 are on there. What is the trick to get it to recognize the video as movie files. It recognizes the still images on it, but says the video files are not movie files. Any suggestions? 3) Plug in camcorder, selsct ÃƒÆ’Ã‚Â¢ÃƒÂ¢Ã¢â‚¬Å¡Ã‚Â¬Ãƒâ€¹Ã…â€œcomputerÃƒÆ’Ã‚Â¢ÃƒÂ¢Ã¢â‚¬Å¡Ã‚Â¬ÃƒÂ¢Ã¢â‚¬Å¾Ã‚Â¢, start iMovie ÃƒÆ’Ã‚Â¢ÃƒÂ¢Ã¢â‚¬Å¡Ã‚Â¬Ãƒâ€¹Ã…â€œ08. In iMovie, it still wasn’t showing me my camera, but then I noticed the red light on the camera flashing showing that the hard drive was being used. I waited for quite a while, then when the red light went out, the import dialog came up in iMovie with all my video clips! So, watch the red activity light on your camera, if its on or flashing, keep waiting, it just might work! i went to applestore and brought in my dcr dvd 403. i followed the steps in the apple website. like formatting my disc to standard /video and not vr. guess what. still doesnt work. they recommended me to get handbrake. I recently bought iMovie ’08 specifically so I could import movies from my Sony HDR-SR1. I’m having a couple of issues however. 2. So I try to import using iMovie ’08. I tried all 3 connection solutions Xavier suggested but to no avail. It still doesn’t recognize the camera and when I try to just go file-import files-then the camera, all the files are grayed out. I’m about to pull out all my hair and blow up my computer/camera. Please help! This Sony/Mac issue really is a pain. My own setup goes out of commission every once in a while. I don’t have access to the exact Sony camcorder that you have. The reason your files are grayed out is iMovie ’08 can’t edit them without first converting them. You can only import files that are already converted. I’m going to put a call into Sony and Apple to see if we can solve this problem once and for all. Xavier, were you ever able to get definitive feedback from Apple? After I read your article and cross-checked the Apple site, I bought a Sony DCR SR200. 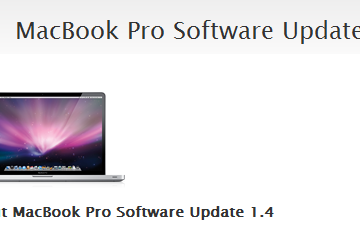 (I have an Intel-based MacBook and just upgraded to iMovie 08.) My camera perpetually reads “Connecting,” shows up only as external memory on my MacBook, and isn’t reading. My movies remain grayed out. Help would be greatly appreciated. Any solution if possible the SONY DCR-DVD908E can works with iMovie’08? I am sorry that I read all of these comments. I just purchased Sony’s HDR-UX7 and am hoping I don’t have any of these problems. But I have to admit, I am now very nervous about the money I have spent. I am running Leopard and pray that makes a difference. my sony dvd camcorder doesn’t have a firewire out plug. is there anyway I can simply import the files off the dvd into imovie? I cannot get panasonic dvr-310 videos onto imovie. Any help?? I always use iSquint to convert hd videos to iMovie. I have a Sony DCR-SR60 and can not import movies into Imovie 08. I also have Final Cut express 4 and cant use this either. Can someone help or do I need to buy another camcorder. I would like to use a HD camcorder due to the ease and quickness of video editing process. Had no issues with windows but want to do it on the mac. you were right on – it can take several minutes or more before the automatic importer springs to life. if there is a lot of content to index on the camera’s hd then it will take time. i have not deleted anything for 2 years and had 20 hours or so of movies. it took 10 minutes before i could import. – let the camera and mac connect – look for the right ‘access’ light on the camera – this can take time. This is great advice. I have iLife08 and I wasn't connecting, and then I happened to check the settings in iPhoto and once I unchecked the box that made iPhoto open every device, iMovie took over the next time I plugged in my camera. —so easy!